Highland Wireless is pleased to announce our latest partnership with Net-Logic Marine Electronic Solutions. We will be providing radio services for their latest custom technology for yachts known as the Vesselwatch. Net Logic Marine carefully selects partnerships to ensure the greatest yacht technology in the industry. The latest Vesselwatch is no different, providing superior service to users, something we are so happy to be a part of. We are excited to add more reliability to communication within the yachting industry, thus enhancing safety, security and peace of mind. The Vesselwatch is an intelligent radio system that is fully compliant with Marine UHF radio systems. 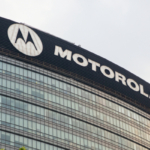 The Vesselwatch relies on Motorola digital radio network as well as a VW gateway. As a result, users have access to seamless communication between crew and onboard guests. 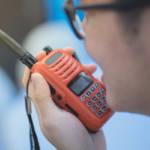 Considered the best available UHF radio system, the Vesselwatch offers alarm monitoring, crew management tools, and a Steward call system. The goal is to more efficiently provide information to the appropriate crew members, and this device does just that. A standard 40Bit encryption secures all voice and data communication against security breaches. You can increase this security up to 256Bit through available upgrades. The Vesselwatch takes advantage of Highland Wireless’ Wide Area network to provide extended coverage over a vast area. Thanks to single-site trunking over 1,000 users can operate the system at once. Instant connection to Alarm and Monitoring Systems allow the proper crew members to be reached right away. Alarms can also be grouped so that only certain crewmembers are notified at one time, reducing the chance for a traffic block in communication lines. This device allows you to track all main vessels, tenders, assets and toys so that you are never in the dark about what’s going on while out at sea. All tracked items are also secured by a virtual security fence alarm. Plus, the Speed Alert function allows you to track and manage the enforcement of speed restrictions on or off the yacht. Any smart device can be hooked up to the Vesselwatch and remote asset shutdown is also available. Fixed costs = money saving opportunities. 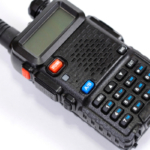 Guaranteed coverage for routine and emergency communication. Full integration capabilities with existing telephone system. Wireless technology ensures system is easy to install. Faster response and communication capabilities. Ultra high security to protect against intruders. Clearer communication thanks to reduced background noise. Smaller and lighter handsets for convenience and ease of use. Highland Wireless is pleased to help make the numerous perks of the Vesselwatch a possibility thanks to our reliable radio systems throughout the state of Florida. 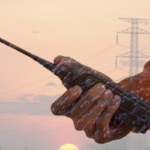 Highland Wireless owns and operates major two-way radio communication networks throughout Florida. We are the main supplier of UHF on-board yacht communications. We have achieved this level of success not only by providing the most reliable services in the industry, but by partnering with major yacht management and yacht supply companies. If you combine all of the years of experience our senior management and technician staff has you have over 200 years of valuable knowledge. We have been in business since 2002, always striving to expand the capabilities of two-way radios on land and out at sea. Contact Highland Wireless today to find out how our reliable, long range radio services can help your business achieve new heights.